We are a team of jewelry experts, including the only certified retail master bench jeweler in North Texas. For 35 years we've been serving the DFW area, creating and repairing fine jewelry. From replacing watch batteries to creating custom pieces from scratch, no request is too small or too large! What is a master bench jeweler? To receive this prestigious title, a jeweler must endure at 42 hour test that spans all parts of jewelry work: metal work in gold, silver, and platinum; setting precious and semi-precious gemstones, lost wax injection casting, wax carving, polishing, attention to detail, creativity, and more. Master Bench Jeweler is the highest level of Jewelers of America Bench Professional Certification, and only around 130 jewelers have ever reached this level. This means a jeweler exhibits a "mastery at all skill levels." Jim Rogers is the only Certified Master that is retail in Dallas County. Check out some of his test and custom pieces in our "Custom" section! Gold N Carats has been in business for 35 years and we are still going strong. 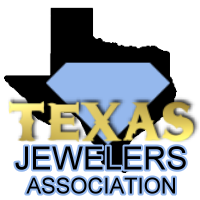 Voted the best jewelry business in Irving many times, our certified master jeweler, one of only a handful worldwide, is the only one who operates in the Dallas area. From custom one-of-a-kind pieces that will last a lifetime to repairs and watch batteries, Gold N Carats gets it done. We will treat you like family. We love getting customers into the right pieces for them, whether that is custom or in the case - that means we never try to get you to spend more on a piece "just because." We believe in our product and we sell pieces that will last. Jim Rogers, our Certified Master jeweler who has been creating fine pieces for over 50 years, never lets a piece out of the shop until he is 100% happy with it. Ask our customers that have been working exclusively with us for 30+ years!